CannaLance offers blogs, product descriptions, press releases, and more that are all canna-specific! This content is all wordsmithed by James and Ashley Priest, owners of CannaLance. Both have been part of the cannabis community for decades. 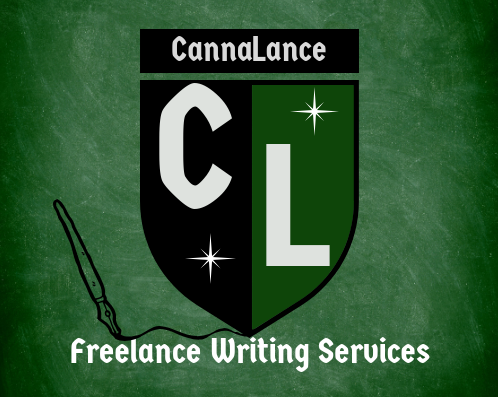 CannaLance wants to be your cannabis writers! You can find work by CannaLance around the globe. Passion and dedication to convey the wisdom of this incredible plant is what you can expect with every word. The content wordsmithed by CannaLance is always on point like a well put together joint. No project is too big or too small, if you need help just call (719)505-4741 and we’ll get the job done. Writing can be a real pain in the, hey look at that donkey. So why not let us articulate your message to the audience you’re after? Not only can writing be hard it can consume quite a bit of your valuable time. Let CannaLance handle it for you. This could give you all kinds of time to focus on other things. Things like expanding your business, networking, or perhaps some much needed and overdue time off! Though that last one is very unlikely for most of us. You can also find social media management services and photography offered by CannaLance. Social media management options start as low as $100 a week to maintain daily organic interaction. That means we spend a certain amount of time on your profile as you and use scheduled posts to keep your social media presence alive and thriving. Great content doesn’t have to leave you smoking trim or scraping your bowl for resin to afford it. Top shelf, platinum level cannabis content canna be yours at prices you’ll love. You’ll find content for any and every BUDget. Use the green you save on content, photography, and/or social media services to put some green back in your sack or perhaps the bank. They can get you going with blogs as low as $10-$25! Blazin and amazin cannabis content you need is just a click or call away. If you’re ready for some smokin~ cannabis content, then all that’s left to do is to reach out and say HIGH to CannaLance.